What better way to welcome your guests to your special day, than with a personalised welcome board. This is handwritten so can have any wording you like. To top it off this is also a double sided treat which has the order of your day on the reverse side so your guests can keep up to date with the goings on of your day. This can be hired out for the day for just £40…….Bargain! Contact Becky via email hartiescraft@outlook.com or visit her website hartiescraft.co.uk for more information. Based in Liverpool, The Little Camper Booth was established on 31st July 2017, by owners Laura & James. Wanting to create a unique experience, we decided to purchase our first Camper van. Heidi has gone through a full restoration to once again bring a smile to all those that meet her and create unforgettable memories as part of The Little Camper Booth! Old meets new with our state of the art automatic photo booth, which captures & prints those memorable moments. If you’re looking for a unique way to entertain your guests, then Heidi is available to hire for weddings etc. The Little Camper Booth has gone from strength to strength offering the most unique photo booth hire experience. 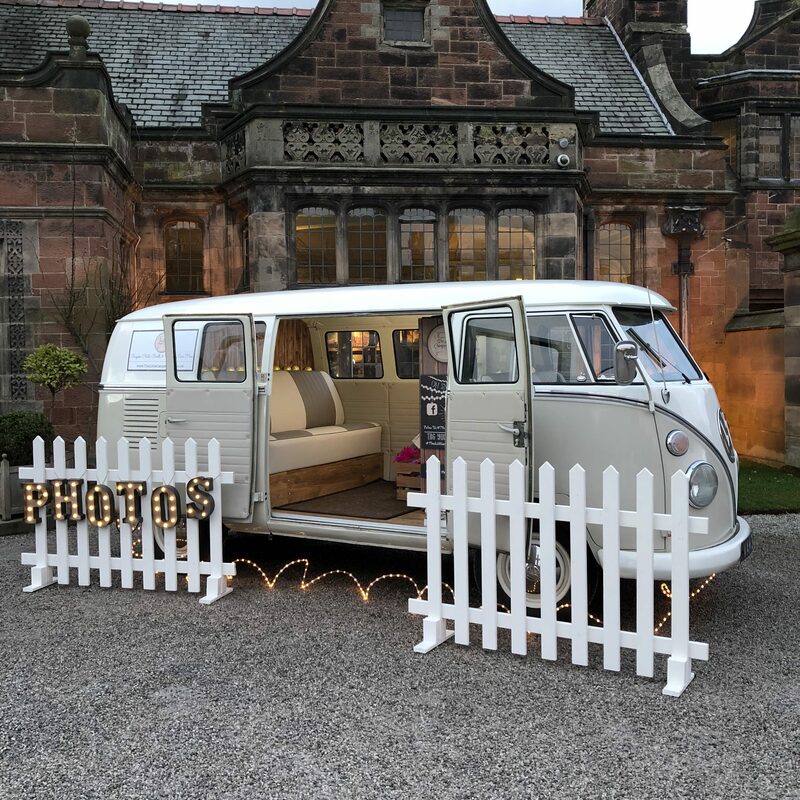 The Little Camper Booth has gone from strength to strength offering the most unique Photo Booth hire experience. Booker Flowers and Gifts on Booker Avenue, Liverpool are an award winning wedding flower specialist. We will work with our customers to produce the flowers they have always dreamed of for their wedding. We are open 7 days a week and offer a free Wedding Consultation, which is vital when planning your wedding flowers. We have recently undergone a big refurbishment in the shop and now have a dedicated Wedding Planning area, where our brides (and grooms!) can see photos of flowers from real weddings we have created, to help make their decision easier. Telephone us on 0151 724 4850 to make an appointment with our Wedding expert, or check out our Website for photos and prices. Got some news for next month? Please email Vicky (that’s me!) beauty@theliverpoolweddingblog.com for more information on how to get involved!